Not only is 2019 the year we can expect to see more trucks and SUVs on the road, but it’s also a prime time for new electric SUVs. Automakers have realized it’s what the consumer wants and they are ready to give it. While not all of these are in production yet, we thought it would be fun to take a look at the five best electric SUVs for 2019. Let’s look at the pricing, features and ranges expected with the top five electric crossovers and SUVs of 2019. Which one is your favorite? 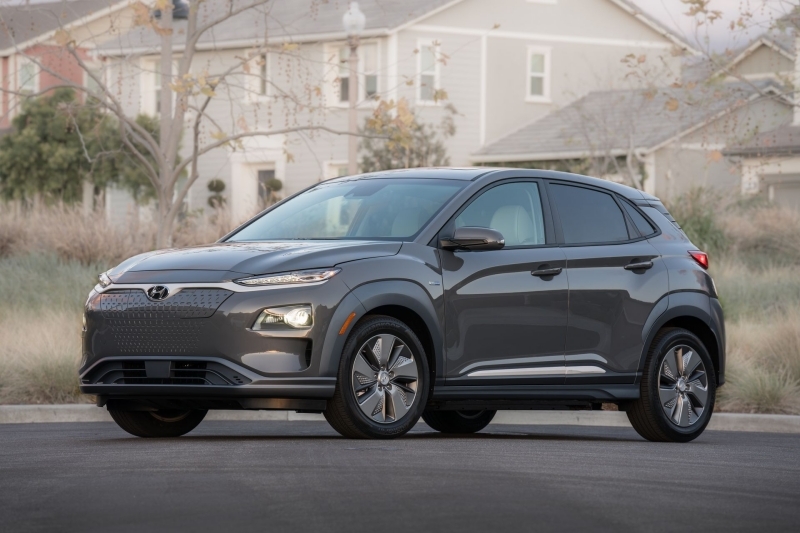 The 2019 Hyundai Kona EV debuted during the 2018 New York Auto Show. It’s based on a standard Kona, but this model is set to challenge some big hitters like the Tesla Model 3 and Nissan Leaf. The subcompact crossover SUV features a 258-mile range on a single charge. In addition, it offers plenty of space inside for the entire family to be comfortable. Of course, it only comes with front wheel drive, so some people might argue that this is more of a car than anything. With that in mind, there’s not much you can complain about with a starting price of under $38,000. Other than being an electric SUV, there are some other subtle differences between the standard Kona and the Kona EV. Right up front, you notice that the EV gets rid of Hyundai’s grille and replaces it with body-colored fascia. This holds the car’s charging port. Inside the cabin, you are surrounded by a gray color palette instead of the dark black color in the regular Kona. There’s also a new floating center console and push-button gear selector. It’s very similar to the Kia Niro EV, which might be priced slightly lower than the Kona depending on how many boxes are ticked. 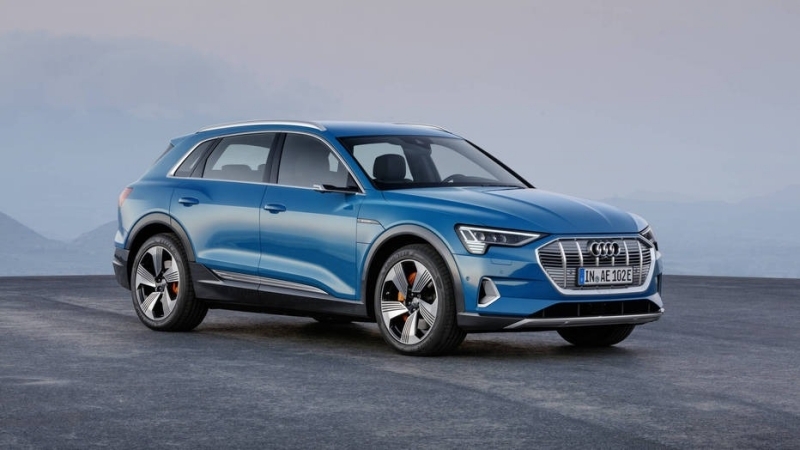 The e-tron has been sitting at the top of everyone’s must-have list since the most recent concept was unveiled in 2018. This five-passenger electric SUV features a 248-mile range and a starting price of just over $75,000. This actually makes it slightly cheaper than the Tesla Model X, plus it charges faster. Inside the cabin of the Audi e-tron, you find that’s it is more than a standard Q5. In fact, it’s almost ten inches longer and features a generous 115.1-inch wheelbase. Furthermore, this SUV features all the latest technology. You have access to a dual-touchscreen infotainment system, 10.1-inch and 8.6-inch displays plus a 4G LTE connection and Wi-Fi hotspot. Even the standard features include heated and cooled front power seats, a Bang & Olufsen stereo system, navigation system, surround-view camera, 20-inch wheels and an entire suite of active safety features. If you upgrade to the $82,795 Prestige trim, you also receive leather upholstery, a head-up display and a package of other driver aids. Deliveries in the United States begin during the second quarter of this year, but don’t get your hopes up. They are only releasing 999 models for this year and reservations are filling up fast. If you want a direct competitor to Audi, look no further than to the Mercedes-Benz EQC. This small SUV measures about the same size as the GLC, but it delivers 402 horsepower and 564 pound-feet of torque. Mercedes still claims that the range will be 279 miles, but so far, that’s only based on the European test cycle. When it translates to the States, that number might change significantly. What we do know is how exceptional the battery is. It’s going to receive power through two asynchronous motors featuring 300 kW capacity. It also can fast-charge from 10 to 80 percent in just 40 minutes. On top of that, it comes with a water-cooled onboard charger and all the luxuries one would expect from the name Mercedes-Benz, plus new ones like noise-insulating glass and an illuminated front badge as standard. Unfortunately, there’s no word yet on when we can expect this electric SUV or what the pricing looks like. There’s also word that it might not make it to market for 2019 at all, but we are still hopeful. It wasn’t long ago that Volvo announced they would release an electric powertrain for the XC40. This model is already a popular SUV and also comes with a hybrid configuration. While we haven’t seen it yet, here’s to hoping it will be part of the 2019 lineup. Initial figures project a range of 240 miles. We also know that the company has speculated the price will start between $35,000 and $40,000. Of course, that could be after the tax credits and incentives. It’s more likely that the pricing will be somewhere closer to $50k instead. Either way, this high-class, high-fashion electric SUV is going to be cheaper than the Tesla Model X and the Jaguar I Pace, which is quite a feat. While there’s a chance this one won’t arrive until 2020, we are still holding out hope that it joins the ranks with the best electric SUVs of 2019. The BMW iX3 is currently under construction in China and should be ready for worldwide markets by the end of the year. This electric model is based on the X3 and features a 70-kWh battery pack. That should provide a range of about 250 miles with each full charge. It should be interesting to see how this model competes head to head with the Audi e-tron. Keep in mind that BMW is set to release a total of 12 electric vehicles by the end of 2025. This year, they hope to have the electric Mini Hardtop to market and then the X3 comes next. After that, we will see BMW releasing the iNext and i4. While it’s fun to think about the future of electric SUVs, we can’t help but wonder when we will see a high-powered electric sports car as part of the Bavarian lineup as well. Sure, we will drive the SUVs with our wives and kids, but when it’s me-time, we want a little more thrill. 2018 may be gone, but that new-car smell hasn’t faded a bit. What’s Your Favorite Electric SUV of 2019? We want to hear about it. Let us know your favorites and we will keep an eye on how everything pans out this year. Maybe we will get some electric models we don’t expect and maybe some of these won’t arrive at all. Only time will tell. Newer PostWhat Is a Mechanic's Lien and What Does It Do to Your Car?